SPRINGFIELD – To make local government more efficient and ease the property tax burden on her constituents, State Sen. Linda Holmes, D-Aurora, voted in favor of SB3, a bill that grants counties the ability to cut or consolidate local units of government. Previously, only DuPage, Lake, and McHenry Counties were able to consolidate local government units in this way. This bill extends that ability to all counties in the state. With over 7,000 units of local government, Illinois has more than any other state in the country. This legislation is a step toward lowering that number and streamlining government. Having passed the Senate as part of the “grand bargain” agreement, SB3 awaits the approval of the rest of the bills in the package before moving on to the House of Representatives. AURORA — A plan that would extend an economic development program that this year aided in the rehabilitation of the old St. Charles Hospital in Aurora will become law. Put forth by State Reps. Linda Chapa LaVia and Stephanie Kifowit and advocated in the Illinois Senate by State Sen. Linda Holmes, the legislation was signed today by Gov. Bruce Rauner. The Rivers Edge Redevelopment Zone program designates areas in several cities throughout Illinois, including Aurora, as marked for tax credits tied to redevelopment. 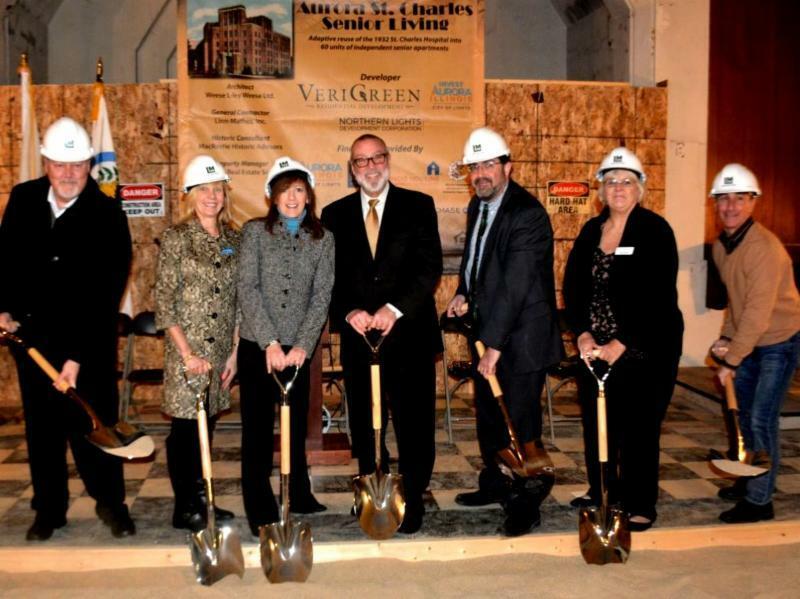 Developers used the program this past year as they repurposed the historic St. Charles Hospital for use as a new senior living center. The legislation was Senate Bill 1488. It extends the sunset for the Rivers Edge program to the end of 2017. SPRINGFIELD — To provide more protection for persons with autism spectrum disorders and greater ability for medical personnel to quickly assess patients who have them, the governor signed legislation last week by Aurora-area lawmakers State Rep. Stephanie Kifowit and State Sen. Linda Holmes that would issue informational wallet cards. Illinois Secretary of State Jesse White commended Holmes and Kifowit’s efforts to raise autism awareness in a statement Monday. Much like medical bracelets, the wallet cards are designed to convey crucial personal medical information to first responders and hospital personnel in situations when a person may be incapacitated or otherwise incapable of communicating to the people treating him or her. Cards will be available from the Secretary of State’s Office to drivers who have an annotated disability on their licenses. The legislation was House Bill 4257. It becomes effective Jan. 1, 2017. Holmes: "If more people are registered, more people will vote."